Mon to Fri from 9 a.m. to 8 p.m.
We are a company dedicated exclusively to the international transport of import vehicles, that we offer an efficient and economic service of transfer of cars of rise for people who have a work outside Spain. 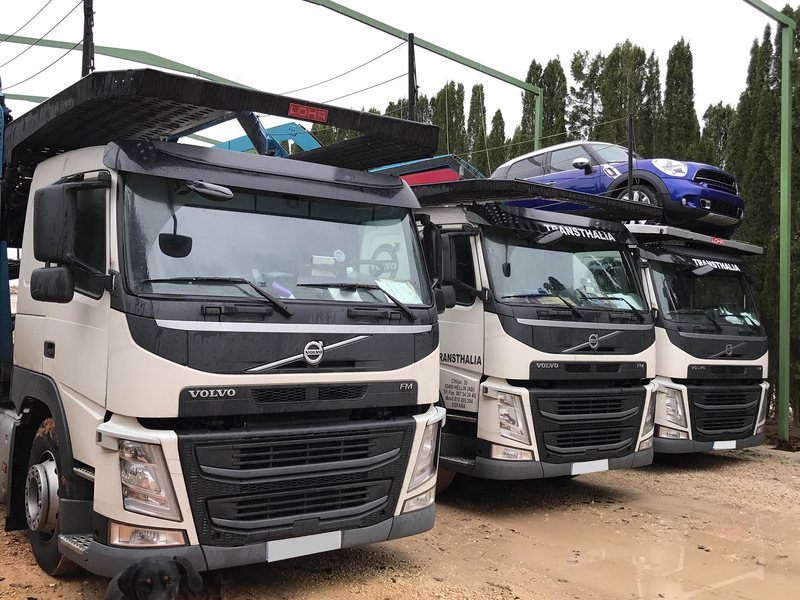 We have a fleet of own car trucks with which we make weekly routes of car and motorcycle transport by road to countries like Germany, Belgium, Holland and France. We also do full loads. The objective of our company of transport of vehicles by road is the provision our services with the maximum quality and rapidity, offering at the same time the best prices of the market. Our professionals perform a comprehensive national and international vehicle collection and transportation service, which guarantees that the customer will receive his car or motorcycle within the agreed time and in perfect condition. Do not hesitate to contact us to send a vehicle to any destination. We specialize in national and international road transport. By means of the transfer by road, your vehicle has insurance that covers any internal or external damage until arrival at its destination. We take care of your car as if it were ours.